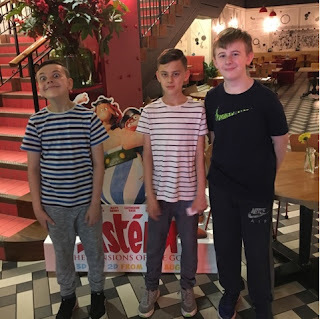 We were really excited to head into Central London to Picture House to watch the really cool movie Asterix: The Mansions of the Gods. The animated movie is set in the Roman era where Julius Caesar has an epic plan which he excitedly reveals to his army, to get rid of the Gauls village and make way for his swanky new estate called the Mansions of Gods. 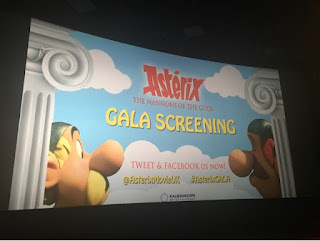 But Julius Caesar has underestimated the Gauls and Asterix and Obelix are not about to allow this to happen without a fight. 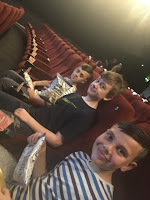 We loved watching Asterix and Obelix battle and foil Julius Caesar's plan, a great fun filled family movie, full of excitement adventure with a huge dose of added humour.